Cartoon received so much positive feedbacks that you wonder – what for? Let's try to find out. Firstly, it is a good fairytale. Yes, a little corny, yes, unpretentious, but it was very kind one. Secondly, it teaches very important things, although they have long been known for now: you cannot judge a book by its cover, and a person (in this case the monster) by his appearance. Of course, we all know the truth, but how often do we use this knowledge? It is very important to repeat such good wisdom, but even more so to give it in such an accessible and understandable way, as to explain to a child. Another main point, which extends through the whole story – the importance of not only reasonable, cold calculation, but it is also about feelings. Classic once wrote: "You cannot see the main things with eyes" and he was right at all sides. Thirdly, the film pleases with its graphics. Yes, some do not like this kind of canon of beauty of fairies – some having waists beginning from the neck – but they have awfully nice muzzles, spouts-winged noses, long eyelashes and bright dresses. What is interesting – not only girls are attractive characters – maybe it's a monster, around which the story revolves, but the boys watch a cartoon with pleasure also. As for the musical accompaniment, it can also be attributed to the unquestionable advantages: light music, pleasant singing, unobtrusive design, which only helps to improve the perception of the story. 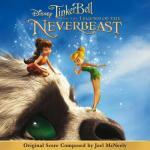 The main part of the songs performed by Joel McNeely, beginning from the title The 1000 Year Comet, including the most popular from the rating Rebuilding Pixie Hollow. Collection ends by Blue with his song named 1000 Years.